Representative Officers of Foreign Companies. List of Directors, Partners with full addresses and details of Directorships / business interest etc. in other companies. If any. Any other brochure/literature about the applicant. Membership of the appropriate recognized Professional institution. Billing of Rs. One million per annum (minimum). 3 years standing in the profession. Date of establishment, with a photocopy of Registration Certificate. Membership Certificate of relevant Professional Institutional. Chambers of Commerce/Industry/Trade/Commodity Associations etc. 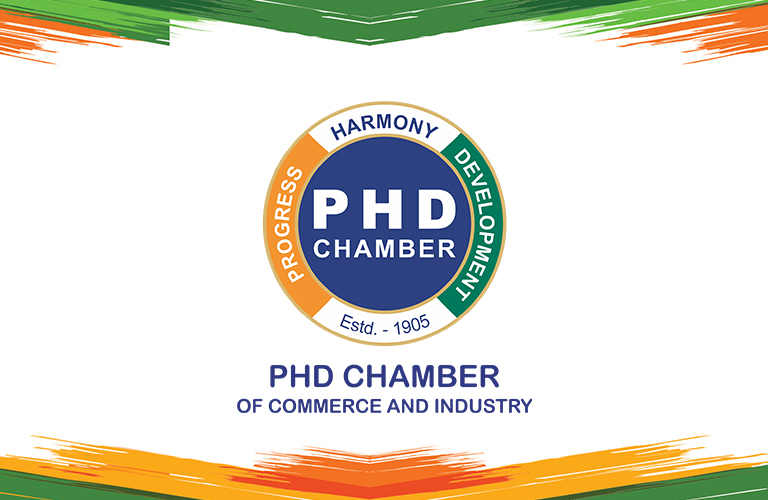 whose aims and objectives are similar to that of the PHD Chamber. Umbrella Organizations of Educational Institutions. Registration under Societies or any other Act. Constitution/Articles of Association/Bye Laws/Aims and Objectives/Rules and Regulations. This includes All Members other than Professional Members covered under Sub Clause (ii), who are engaged in Manufacturing, Trade, Construction, Hotel, IT, Film and any other commercial activity as may be declared so by the Managing Committee from time to time. Lawyers, Chartered Accountants, Cost Accountants & Company Secretaries engaged in profession. The annual subscription for Patron Member shall be Rs. 2,50,000 + GST @ 18% per annum or such higher amount as may be determined by the Managing Committee from time to time. The annual subscription for Association Members shall be Rs. 10,000 + GST @ 18% per annum or as determined by the Managing Committee from time to time. The annual subscription for the Overseas Members shall be USD 1,000 + GST@ 18% per annum or as determined by the Managing Committee from time to time. Platform to network and liaise with member constituents, institutions, Central and State Government Officials, Diplomats, etc. that will help you expand your business as also enable a conductive learning environment for sharing problems and finding prospective solutions. Clarifications on major policy issues and redressed of problems of members both at the Central and State Government. Seize an opportunity to participate in Seminars, Conferences, Meetings, Symposia, Roundtable Discussions and Training Programmes. Renders expert advice to its members on issues relating to foreign exchange regulations, import / export, excise and customs, industrial relations , income tax, energy conservation, etc. Provides you Labour Advisory Services. Provides an impetus to develop international business through ‘Buyer Seller Fora’. Organizes meetings with foreign delegations, international agencies, Diplomatic Missions and various foreign Chambers of Commerce. Takes business delegations to different countries to explore possibilities for enhancing bilateral trade and joint ventures. Disseminates commercial and economic information including trade enquiries/ tenders received from abroad.